On behalf of Ban Asbestos Network of India (BANI) and ToxicsWatch Alliance (TWA), I wish to express my gratitutde for your exemplary decision of Union Ministry of Chemicals & Fertilizers, Government of India in reversing India's long held position on chrysotile asbestos (white asbestos) that clears the way for its elimination in near future. I had written on 16th June, 2011 urging you"to rectify its (Government of India) untenable position on hazardous nature of chrysotile asbestos in Geneva" at the UN Meet on Hazardous Chemicals and Pesticides. The letter is given below. 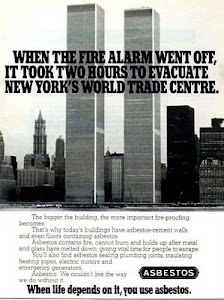 BANI and TWA salute you for resisting the influence of twins of asbestos companies- Asbestos Cement Products Manufacturers' Association and Asbestos Information Centre. 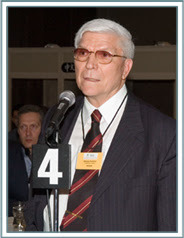 Now I say that unlike the Canadian Prime Minister whose act has compelled European Union (EU) to call for sanctions against Canada for derailing a United Nations protocol to protect vulnerable populations from the hazards of asbestos on June 30, 2011, your ministry has worked silently but made its impact at a global level. I am aware that your Ministry is the Focal Point for the Rotterdam Convention. At this UN Meet, Indian delegation recieved was greeted with standing ovation from the delegates from all over the world. But when this happened there was deafening silence in Indian media. 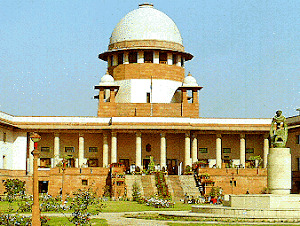 It is appropriate in such a sitiation that the Press Council of India and Union Ministry of Information & Broadcasting seek an explanantion from the news channels, newspapers, business newspapers, news magazines, radio and news websites who chose to make this global news of seminal importance becasue it paves the way for eventual phase out of all chrysotile asbestos basesd prodfuct to safeguard teh health of present and future generation of Indians, a non-news in India. I wish state that BANI and TWA applaud your ministry's role at the 5th meeting of the Conference of Parties (COP5) to the UN's Rotterdam Convention on the PIC Procedure for Certain Hazardous Chemicals and Pesticides in International Trade in Switzerland on 22nd June, 2011 in the matter of listing of chrysotile asbestos (white asbestos) in the UN list of hazardous chemicals and pesticides. BANI places on record its appreciation for the work of Ms Mira Mehrishi, Additional Secretary, Ministry of Environment and Forests, Mr Manoranjan Hota, Mr Sanjay Bansal, Director, Ministry of Chemicals and Fertilizers and Ms Jyoti Singhal, Under Secretary, Ministry of Agriculture in annoucing that Government of India considers chrysotile asbestos suitiable for listing in the Prior Informed Consent (PIC) procedure list of hazardous chemicals. An appropriate order may be passed with regard to the above and my previous submission to you. This is an earnest appeal to you to ensure that Government of India's delegation votes to list chrysotile asbestos (white asbestos) as a hazardous substance, which it has been refusing to do so since 2004 (COP1) years under the influence of asbestos companies unmindful of the human rights violation it entails. I submit that during 20- 24 June, 2011, India will get yet another opportunity to rectify its untenable position on hazardous nature of chrysotile asbestos in Geneva at the 5th meeting of the Conference of Parties (COP5) to the UN's Rotterdam Convention on the Prior Informed Consent Procedure for Certain Hazardous Chemicals and Pesticides in International Trade. Having succeeded in, blocking UN recommendations on, four previous occasions, there is little doubt that, chrysotile asbestos producers will repeat their obstructive, behaviour at the COP-5, Rotterdam Convention held in Geneva. It is high time Government of India detached itself from their unethical practice. It appears that your Ministry has been misled about the toxicity of to chrysotile asbestos. 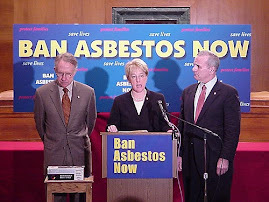 As a consequence, the global public opinion and Indian citizens have begun to consider you as the main obstacle to the inclusion of chrysotile asbestos in the list of UN agreement on hazardous chemicals. In such a backdrop, it is germane to ask why is Ministry of Chemicals Government of India still a leading importer of chrysotile asbestos? I submit that Canadian government which exports chrysotile asbestos to India has removed it from Canadian Parliament and its Prime Minister's Home. As you are aware India has technically banned mining of asbestos (including chrysotile) but allows import, manufacture and use of asbestos based products which are proven to be deadly! May I ask: Is it rational? borders from hazardous substances under the manifest influence of chrysotile asbestos companies. In such a backdrop, it is submitted that in an order dated January 21, 201, Hon’ble Supreme Court’s bench of Chief Justice of India Justice S.H. Kapadia, Justice K.S. Panicker Radhakrishnan and Justice Swatanter Kumar has observed in para 15, "the Government has already presented the Bill in Rajya Sabha. The statement of objects and reasons of this Bill specifically notices that the white asbestos is highly carcinogenic and it has been so reported by the World Health Organisation. In India, it is imported without any restriction while even its domestic use is not preferred by the exporting countries." The Bench of Chief Justice of India notes, "Canada and Russia are the biggest exporters of white asbestos. 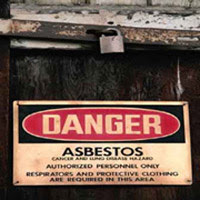 In 2007, Canada exported 95% of the white asbestos, it mined out of which 43% was shipped to India. In view of these facts, there is an urgent need for a total ban on the import and use of white asbestos and promote the use of alternative materials. The Bill is yet to be passed but it is clearly demonstrated that the Government is required to take effective steps to prevent hazardous impact of use of asbestos." It is also noteworthy that the National Human Rights Commission (NHRC) too has passed an order in Case No:693/30/97-98 recommending that the asbestos sheets roofing be replaced with roofing made up of some other material that would not be harmful. The Annual Report of NHRC 2003-2004 refers to a Report entitled "Asbestos – Health and Environment – an in-depth Study "submitted by the Institute of Public Health Engineers, India. The study underlines that safe and controlled use of asbestos is not possible. In view of the above, it is your solemn duty to protect Indian citizens from the the exposure of fibers of chrysotile asbestos. In pursuance of the same as a first step there is a compelling reason for Chemicals Ministry, Government of India to support listing of chrysotile asbestos in the Prior Informed Consent (PIC) procedure list of hazardous materials at the 5th meeting of the Conference of Parties (COP5) to the UN's Rotterdam Convention on the Prior Informed Consent Procedure for Certain Hazardous Chemicals and Pesticides in International Trade in Geneva. I will be happy to meet and share additional information. Its a really great Blog. Medical Tourism or Healthcare tourism in India has emerged as a profitable sector for the nation. Great blog here.It’s hard to find quality writing like yours these days.I really appreciate people like you.